The skirt was based on the Lazy Days Skirt free tutorial from the Oliver + S blog. I made Charlotte’s skirt quite long and used my pinking shears to create the points at the hemline. Luckily there was enough fabric to make a skirt for Emily too as she was rapidly becoming put out that Charlotte was getting an outfit and she wasn’t. Her skirt was finished with a simple turned hem as I figured she could then wear it again and again. The cape was super easy and super cheap. The fabric came right out of the sale section. All I did was cut the metre in half lengthways (so I could make on for Emily too), sewed a channel along one short edge, threaded a wide ribbon through and secured it in place with a few stitches so that it wouldn’t slide out of place. Perfectly witchy! I went to RKM wools in Shrewsbury at the weekend and just inside the door I found the perfect ball of wool for £1.49. 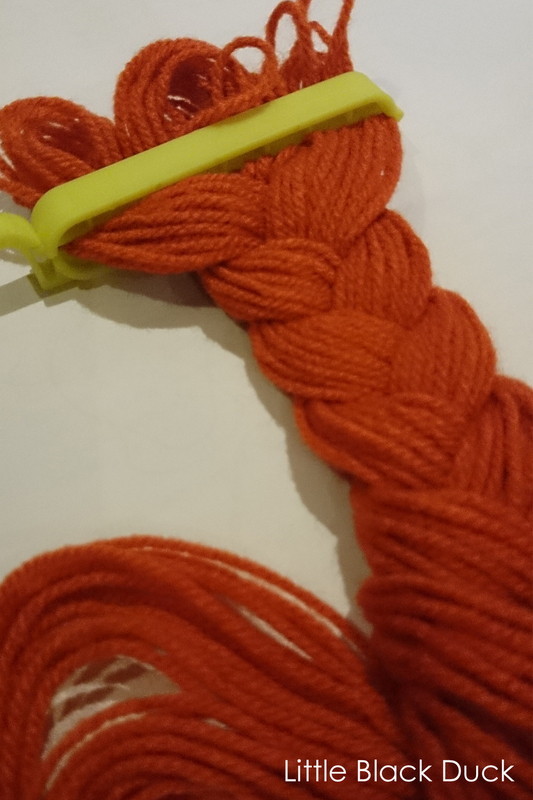 Perfect for making a ginger plait! I made three long sets of strands, clipped them with a sandwich bag clip thingy at the top to hold them in place and plaited away until it was nice and long. 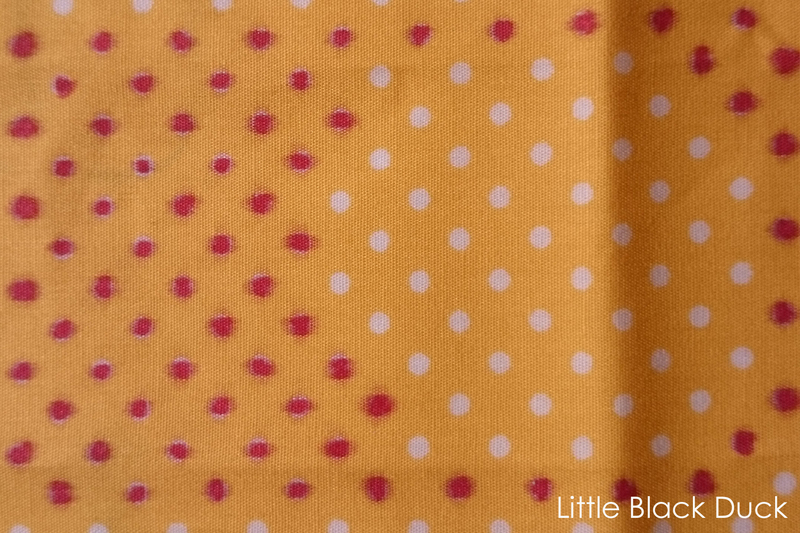 For the bow I found some yellow fabric with white spots. I decided to get out a red sharpie and colour in the dots so it matched the witch’s bow (madness!!). The sharpie bled a little but it looks more authentic don’t you think? I used the Super Easy No-Sew Bows tutorial from Sew Sara, which did exactly what it said on the tin…super easy and no sew! I have not done paper mache since I was at school and I honestly don’t remember it being quite so messy and taking so long! The cauldron was one of those things that you start and really wish that you hadn’t! 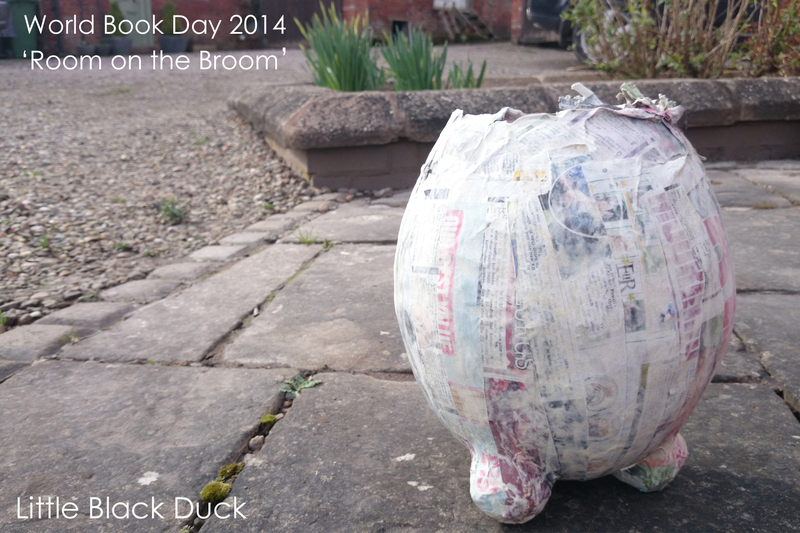 I mixed up a pot of glue from flour, water and a pinch of salt, sat the balloon on top of a measuring jug and started pasting away with strips of newspaper (bought specifically for the job – oh, the digital age!). Charlotte helped with the first layer but we used far too much glue and all the newspaper strips started sliding off the balloon! Luckily we rescued it just in time so we didn’t have to start over. I left the first rather claggy layer to dry over night and well into the next day. A couple of layers later and it was shaping up quite well. I gave it a trim around the edges and then Charlotte and I got out the black paint. 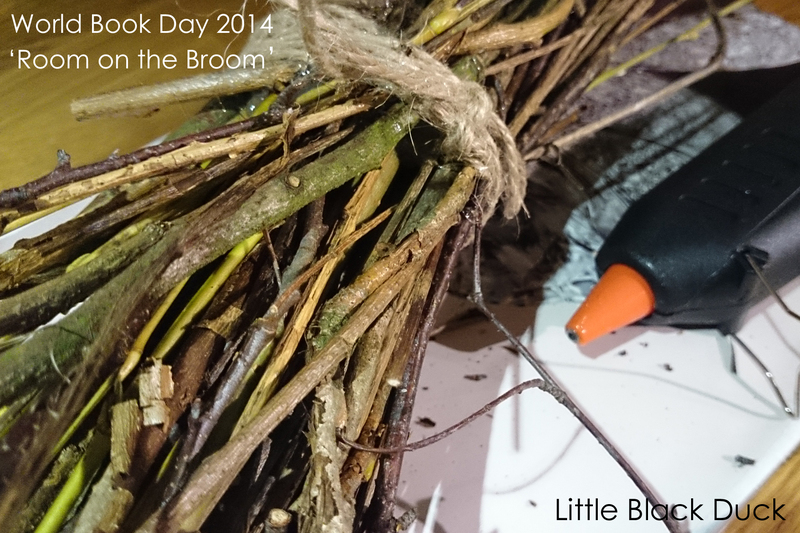 I poked a couple of holes in the sides of the cauldron, threaded a few loops of string and covered it with a felt handle. 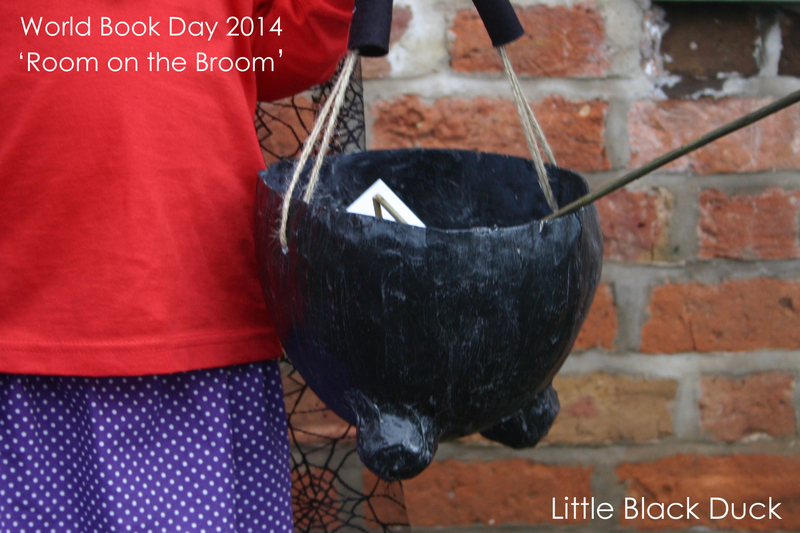 I love the idea of world book day and that they get to dress up at school as their favourite character. Wish they did it here! You did an amazing job with their costumes, no surprise there! 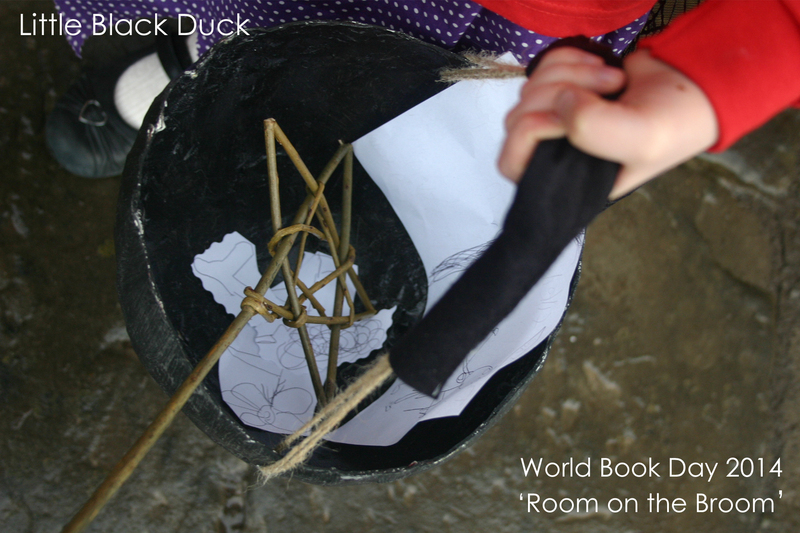 Love the plait on the hat, broom and cauldron! Amazing! Thanks Kelly. 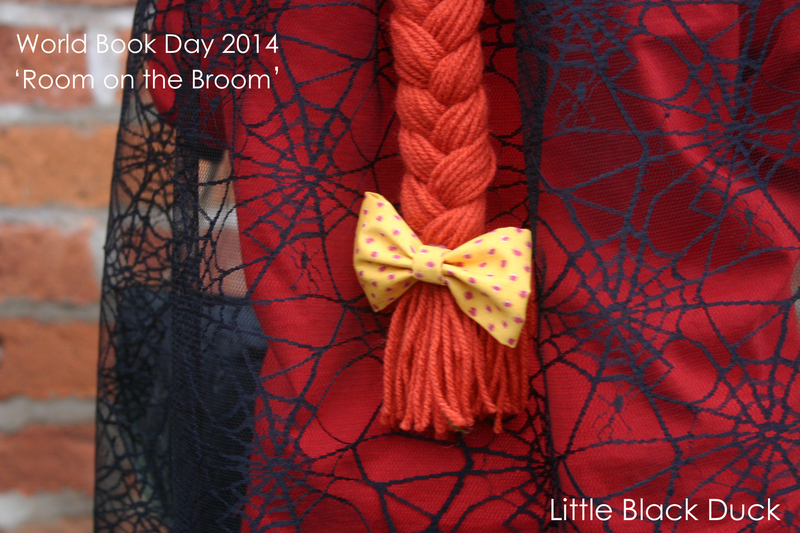 Apparently Wold Book Day is celebrated in 100 countries, maybe you should start a trend! 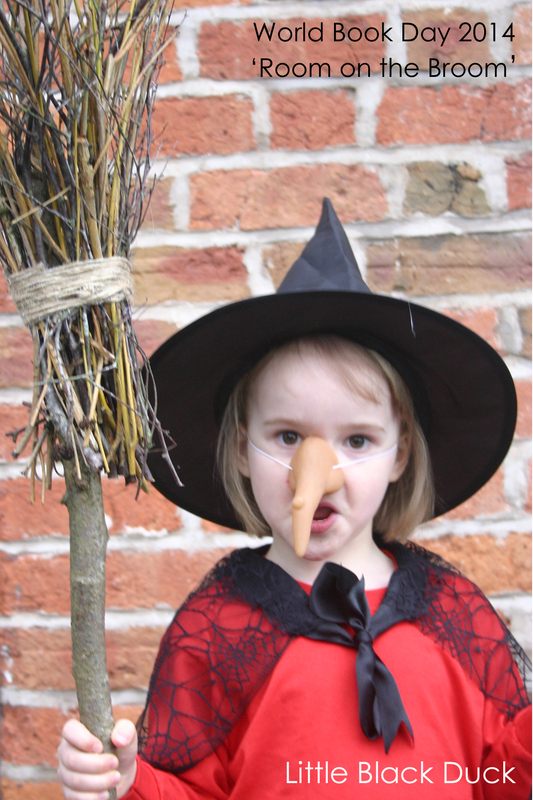 Amazingly the cauldron was the winning ticket…she won a £5 book token and a certificate! 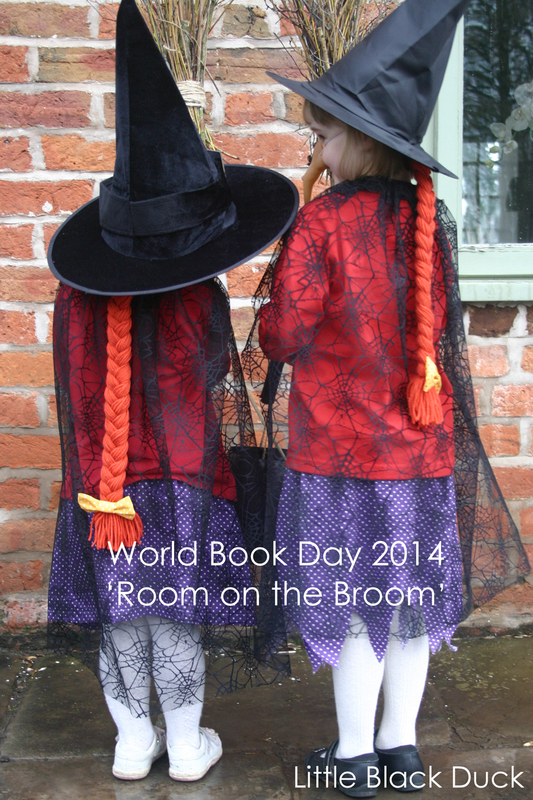 We had so much fun dressing up for World Book Day today. Both my girls are avid readers (proud mummy too). Olivia went as Pippi Longstocking and Samantha went as Lettice the Ballerina Rabbit. They both looked adorable. Lettice the Ballerina Rabbit..never heard of such a rabbit! I shall have to look her up. genius! I’ve just been all over the high street looking for a bucket to put dinosaurs in. Surprisingly difficult in March!